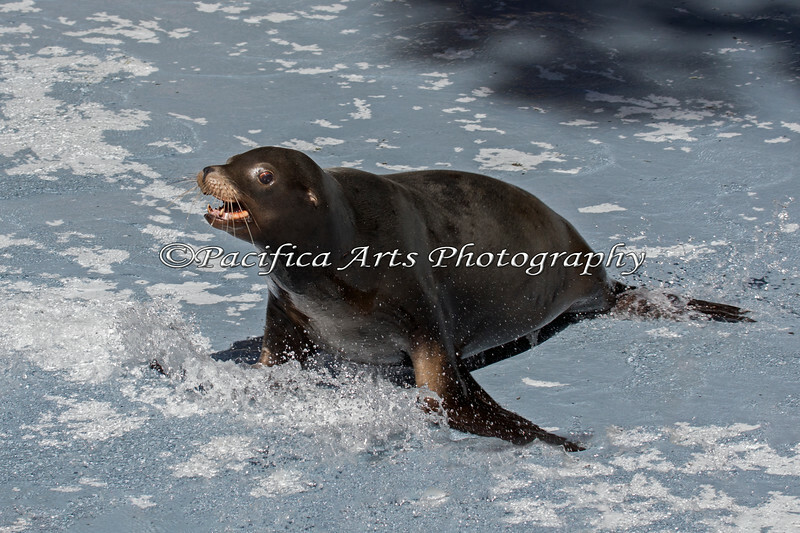 "Henry", a California Sea Lion is having great fun sliding around in the shallow water. The pool had been cleaned, and the Keepers were filling it up again. There was just enough water to make great splashes!